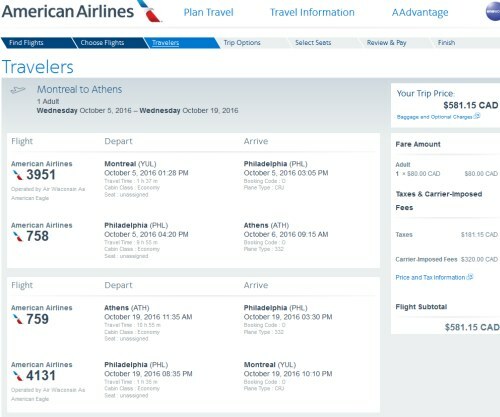 American Airlines is showing flights from Montreal to Athens, Greece for $566 CAD roundtrip including taxes. 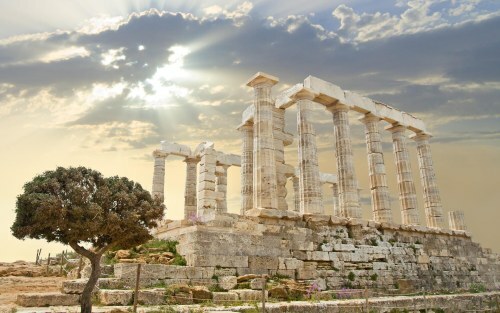 This is 34% below the typical best roundtrip price between Montreal and Greece. Most notably, dates in May and June 2017 are available. June 6, 2017 is the date that's furthest away that you can depart. You can return on dates up to June 30. 2. Click on the departure date box to open up the calendar view. Browse for date combinations that are $582 CAD roundtrip. The ones on Momondo (via ExploreTrip) are apparently with Finnair (American Airlines partner) for the overseas legs of the trip. Montreal to Barcelona, Spain is also available for $536 CAD roundtrip on similar dates. Montreal to Lisbon, Portugal is $559 CAD roundtrip. montreal, yul, europe, southern europe, flight deals, athens, greece, ath, balkans, southeastern europe, american airlines and finnair.